Yes, South Orange has tons of high-end eateries where you can go for a nice date, bring a business partner or show your friends a night out on the town. But how about a place where you can take the kids and keep the whole family satisfied? 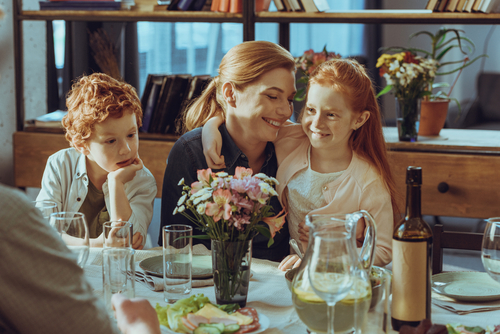 Here in South Orange, we have that, too – there are lots of family-friendly eateries near your Third and Valley apartment that have both the digs and the menu to keep the kids occupied and allow the adults to unwind. Take everyone to these fun South Orange restaurants the next time you’re looking for a meal out! Stony’s, located at 10 Sloan St, South Orange which is about four blocks from your Third and Valley apartment, is a casual spot with fighter plane décor known for their burgers, shakes, fries and salads as well as other kid-friendly options. Plus, don’t feel like you need to squeeze the whole family into a booth – Stony’s has a great patio outside where they can run around and play. Also, they do curbside pick-up, so feel free to take your food home to your Third and Valley apartment to enjoy, too. Reservoir, located at 106 S Orange Ave, South Orange which is an eight-minute walk from your Third and Valley apartment, is an informal Italian restaurant serving build-your-own pasta meals, thin-crust pizzas and more. Three generations after its original opening, Reservoir carries on the same traditions with a much larger menu, but the same recipe for its famous pizza. Plus, it offers catering for large or small parties and can seat up to 45 people in its private party room.